JeepAndBassXJ posted a topic in Member Rides & Builds -- Show off your whip, Show off your System! Updated as of September 2018!!! Go to last page(s) for most recent updates! This was my long time daily driver and first car. Currently am running 6 12's in a series 6th order wall. I regularly take it to events across the western U.S. It has seen 7 builds as far as I can remember. The better known was the previous 2 18's in a flat wall boasting my best scores to date of 162.2db Db Drag style 164.2 USACI. Today it is on half that power but maintains mid 156's drag style at 26hz and 161s at 35hz USACI style. Defiantly a demo friendly build. The Car: (1990 Jeep Cherokee XJ 4.0L) (6) JVF Customz 3.3 12s (4 Pairs) Audio Dynamics 3000 Series Components (3) DC Audio 3.5k's (2) DC Audio 90.4's (6) Full Throttle Group 31 Batteries (2) JS Alternators The Wall Build : Started in November 2015 Last pics of the car before stripping it out (In near stock forum just after finals 2015). After the car was stripped out. Removing things that were in the way such as old seat belt parts and rear seat brackets. Plastidiped the windows, looks great from the outside. Spray foam to create a seal on the sides of the car. Also added some 2" PVC pipe to run wires on each side of the car. First parts of the frame to go in, main beams that will create the plane the baffle attaches to. From here the rest of the frame will extend off to the rear. 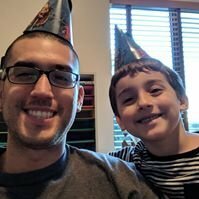 fmedina posted a topic in General Audio - Can't find a category for your question? Ask here.